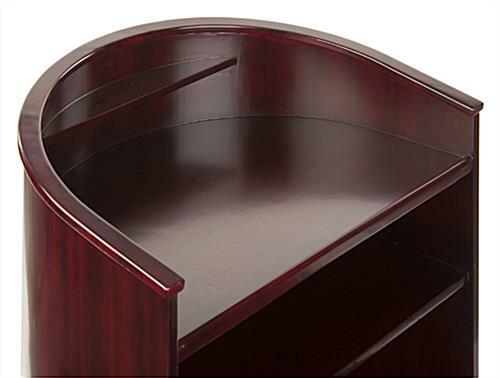 This curved mahogany podium features an eye-catching half-round design with a rich red finish that will attract attention in any professional, religious, or commercial environment. 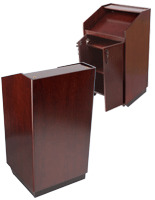 Each semicircular executive speaking stand is made of sturdy plywood but covered with read wood veneer and includes two hidden wheels for easy mobility. 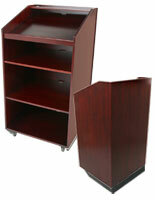 This half-circle mahogany podium includes two internal rear shelves as well as a recessed flat top with accessory shelf. 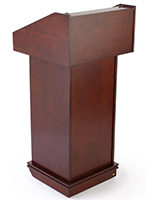 This elegant executive lectern will complement any environment, from churches or other houses of worship to conference centers or boardrooms to universities and other educational facilities. 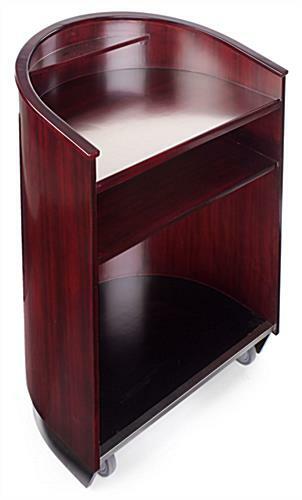 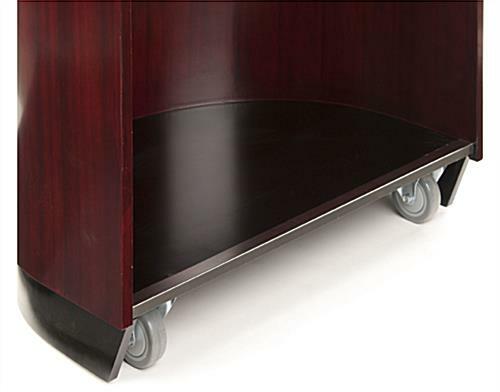 This full size portable mahogany podium with round design and hidden wheels includes caster locks to ensure stability during use. 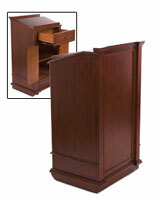 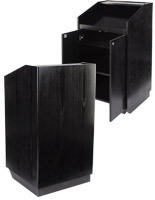 This stylish speaking or presentation stand is easily moved between locations as needed. 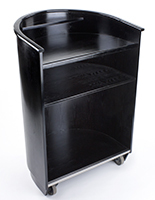 32.5" x 47.5" x 24.5"
30.8" x 32.5" x 22.9"